The International Myeloma Foundation (IMF), the first and largest myeloma-specific foundation in the world, announced today the all-star lineup for the IMF 12th Annual Comedy Celebration taking place on Saturday, November 3 at The Wilshire Ebell Theatre. 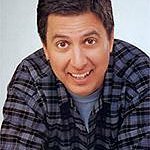 Actor and comedian Ray Romano (Get Shorty, Everybody Loves Raymond) returns to host the one-night only event featuring some of the biggest names in comedy. 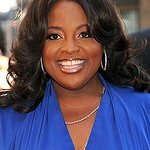 This year’s lineup includes Cristela Alonzo (Cristela, Lower Classy), Gabriel Iglesias (Mr. Iglesias), Jim Jefferies (The Jim Jefferies Show, Jim Jefferies: This is Me Now), Nick Kroll (Operation Finale, Big Mouth), Natasha Leggero (The Honeymoon Stand Up Special, Another Period), Kevin Nealon (Man with a Plan, Hiking With Kevin), Chelsea Peretti (Brooklyn Nine-Nine), Sasheer Zamata (I Feel Pretty, Saturday Night Live) and more to be announced. The evening will include red carpet arrivals, pre-show cocktail reception and silent auction, two-hour comedy show, plus a post-show reception for VIP ticket holders. The red carpet arrivals will live stream exclusively on IMF’s Facebook from 6PM-8PM PT. The live stream, co-hosted by TV personality Alie Ward and former pageant queen Daphne Lee (Miss Black USA 2017), will feature red carpet interviews with celebrity attendees and myeloma experts. Proceeds from event benefit the Peter Boyle Research Fund, named for the beloved actor who died in 2006 after a four-year battle with myeloma – a complex, and often misdiagnosed, cancer of the bone marrow that attacks and destroys bone. Since the first event in 2007, the annual IMF Comedy Celebration has featured over 50 celebrity comedians and musical performers, and raised more than $7 million. Through laughter, the event honors Boyle and raises money for research to find a cure for myeloma. The Peter Boyle Research Fund has supported the IMF’s innovative research programs since the fund’s inception in 2007. For the sixth year, the event also supports the International Myeloma Foundation’s signature Black Swan Research Initiative (BSRI), a groundbreaking and collaborative global project aimed at developing the first definitive cure for myeloma led by a multinational consortium of leading myeloma experts. Through the Black Swan Research Initiative, the IMF is conducting over 40 concurrent studies to find the cure, including the recently launched “CURE” clinical trial in the United States, and the world’s largest prevention study in Iceland. Additionally, the IMF 12th Annual Comedy Celebration will honor world-renowned myeloma expert Dr. Robert A. Kyle for his contributions to the myeloma community as a doctor, researcher, and professor of medicine. His career has spanned over 50 years and has resulted in over 800 published articles along with an additional 1,100 abstracts and editorials. Dr. Kyle is a founding member of the IMF’s Board of Directors, the International Myeloma Working Group, and currently serves as the Professor of Medicine and Laboratory Medicine at the Mayo Medical School, Rochester, Minnesota. In this role, Dr. Kyle has served as mentor and advisor to many of today’s most notable names in myeloma research. The International Myeloma Foundation will honor him on behalf of the countless patients, families, and colleagues who have benefited from his guidance and dedication to advancing the stature of multiple myeloma in the researching community. The International Myeloma Foundation 12th Annual Comedy Celebration is presented by Celgene and Takeda. Tickets are on-sale now at comedy.myeloma.org.